Want to have the Pass to Edinburgh? With free entry to over 30 top attractions, free return airport, free comprehensive guidebook as well as loads of special offers, the Edinburgh Pass is the best way to discover all that Edinburgh has to offer. 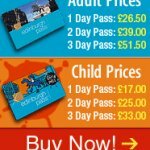 Typical savings of £60 on a 3 Day Pass. The Edinburgh Pass is available for 1, 2 or 3 CONSECUTIVE days. Start saving as soon as you arrive! Just use the Airlink travel ticket provided with your Edinburgh Pass and you can enjoy FREE return airport transfer with Express Airlink Bus (normal price £6.00 return) between Edinburgh Airport and the city centre. 20% discount on all Scottish Citylink routes across Scotland. Also includes a £2.00 discount on Edinburgh Bus Tours. Purchase your Edinburgh Pass on this website today and choose to have it delivered to you or collect it on arrival from the VisitScotland Information Centres at Edinburgh Airport or the city centre (3 Princes Street, Edinburgh). You can also purchase your Edinburgh Pass by phone by calling the City Card Team +44 (0)131 473 3630, Monday to Friday 9am - 5pm. Purchase your Pass in Edinburgh at our VisitScotland Information Centres at Edinburgh International Airport, the Edinburgh and Scotland Information Centre on 3 Princes Street. Edinburgh Passes can also be bought from our seasonal offices in the Lothians such as North Berwick, Dunbar & Newtongrange. 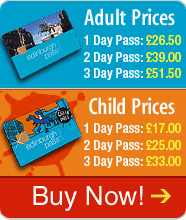 Your Airlink ticket does not have to be used on the same day you use you Edinburgh Pass as these tickets are separate. Airlink Buses run approximately every 10 minutes between 0500 and 0000. To get exact timetable information, please visit the Airlink Buses website or telephone 0131 555 6363.